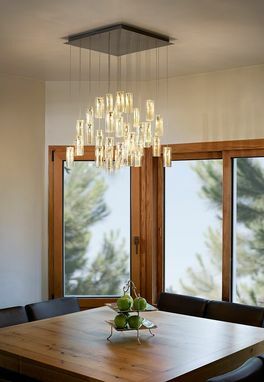 Paired iridescent and transparent glass elongate these glass veneer pendants. 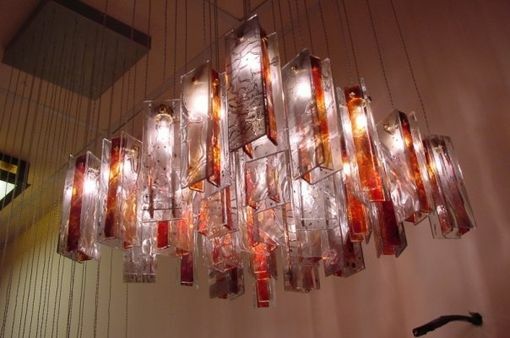 Canopies are included in the price for six or more pendants as well as an electronic transformer and five feet of wiring for each pendant, although custom lengths are available for a small additional charge. 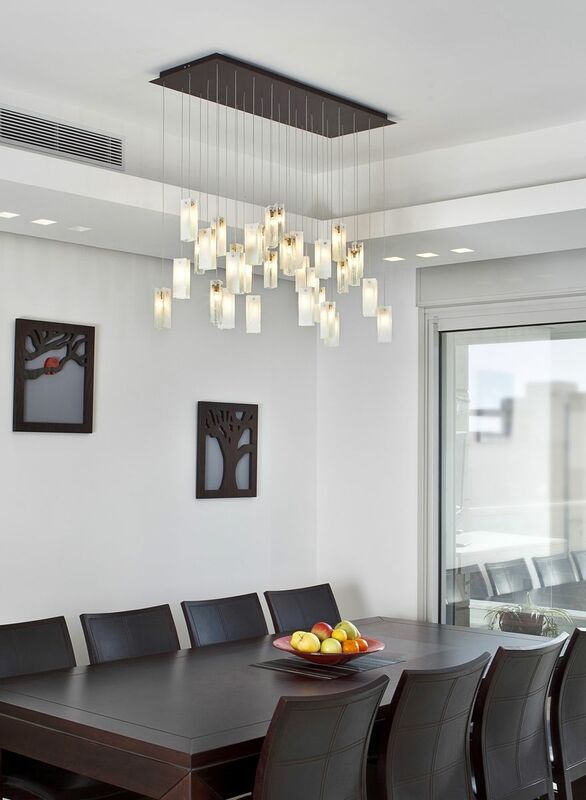 These pendants are designed with four glass panels attached to a steel bulb socket housing with a decorative bolt assembly. 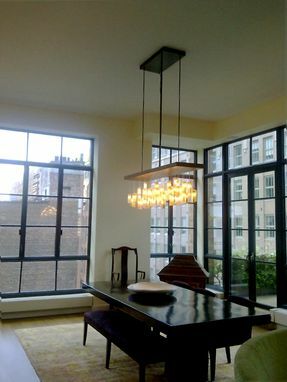 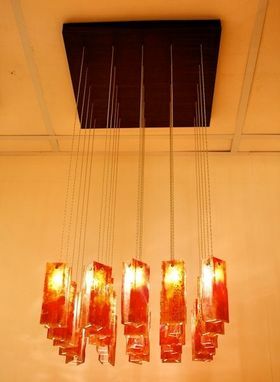 Depending on your preference, individual pendants can hang level at the same height, or be staggered by the artist. 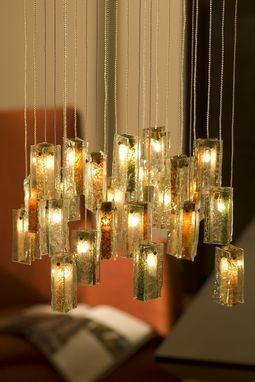 The canopy is sized according to the number of pendants - usually around 6" - 7" for a quantity of six pendants. 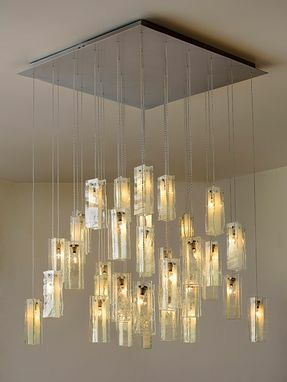 Generally these chandeliers consist of 16 - 24 pendants in which case the canopy is around 12" - 18" in size.